Christian Cox piano recital Upton 29th September…! Christian, from Upton-upon-Severn, was diagnosed with Asperger Syndrome and took up the piano at the age of seven. He developed his craft at Hanley Castle High School and then Bath Spa University, gaining a degree in music and masters in music performance. At 15, Christian began composing his own style of classical chamber music. 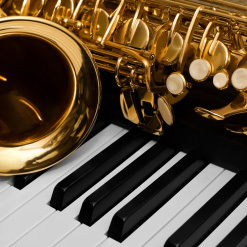 After becoming acquainted with jazz, he started to write music with a jazz/classical fusion. 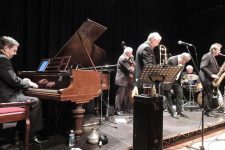 Christian played at the Upton Jazz Festival and opened the Upton Jazz Fringe in June 2018. For this special evening Christian will delight us with classical, show tunes and mellow ballads all the way to boogie-woogie. Tickets are £10 (£8 concessions) and include refreshments at the interval. Tickets from Something Different and Henry’s Cafe in Upton.